Sonny Miller is tired of not knowing who she is. Soon she’ll begin graduate school to earn her masters in Psychology. But how can she counsel future clients about their identities when she isn’t even sure about her own? To that end she has cooked up a little meeting at a certain beach house in San Diego. Sonny’s mother, classical soprano Teresa Miller, isn’t aware she’s about to be reunited at the beach house with her sister, Melanie Hines, after 25 years of estrangement. And Sonny isn’t aware her mother has invited a surprise guest of her own. Russian adoptee, Irina Petrova, finds herself dragged along on a trip so tumultuous she summons her handsome concert violinist brother for moral support. Award-winning novelist Trish Perry has written Sunset Beach (2009), Beach Dreams (2008), Too Good to Be True (2007), and The Guy I’m Not Dating (2006), all for Harvest House Publishers. She writes a monthly column, “Real Life is Stranger,” for Christian Fiction Online Magazine. She was editor of Ink and the Spirit, the newsletter of Washington D.C.’s Capital Christian Writers organization (CCW), for seven years. Before her novels, Perry published numerous short stories, essays, devotionals, and poetry in Christian and general market media. Perry holds a B.A. in Psychology, was a 1980s stockbroker, and held positions at the Securities and Exchange Commission and in several Washington law firms. She serves on the Board of Directors of CCW and is a member of the American Christian Fiction Writers group and Romance Writers of America. Perry lives in Northern Virginia with her teenaged son. 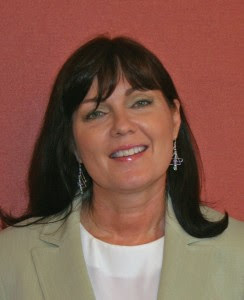 Learn more about Trish at http://www.trishperry.com/ . To follow Trish on Twitter: https://twitter.com/trishperrybooks . At the moment I’m blessed to not have to work an outside job, but I expect that to change in the next year or so. Still, I have to deliberately keep my schedule focused first on writing. Sometimes it feels as if I have the time to get back into the worship team at church or to beef up my social commitments. But I’ve learned to avoid putting too much on my plate, and it has resulted in my finding enough time to get my writing done. My son is now 16 and just got his driver’s license, so that has freed up some time for me as well. I’d actually like to write more than I do, so I guard against throwing my time away. I love writing dialogue. What a control freak’s dream, to have control over what everyone says, including the antagonist. If only life were that easy, LOL! But truly, sometimes a scene simply shapes itself right before my eyes when the characters are engaged in dialogue. I don’t know quite what will be expressed sometimes, and I love it when it flows even faster than I seem to be able to think it. The setting (the funky little house on Mission Beach) and time frame (one or two weeks’ time) were already established for me by my publisher. All of the books in The Beach House series fall within those parameters. But the characters and their stories formulated over time. First I dreamed up Sonny—a young woman who had lived her entire life devoid of details about her family background, thanks to her secretive mother. Sonny had reached a point where she wanted to take control of her own life. Her mother was the barrier to that, so Sonny needed to both go around her mother and barrel headlong towards her. The hidden details about Sonny’s past arose as I created each new character. Even though my own family is close and forthcoming about our family history, there have always been fuzzy areas about which I’ve wanted to know more. I imagined how difficult it would be if your entire family history were fuzzy. I know I’d be compelled to act as Sonny did. With which character do you, personally, identify most and why? Although we’re nothing like each other, I’d have to say I empathized the most with Sonny. As I mentioned above, I shudder at the idea of being in the dark about all of your family members, including your own father. I don’t identify with the questions Sonny had, but I can certainly imagine them. And the fact that Sonny got her degree in Psychology, of course, is the closest tie I have with her. Knowing how little I know with a B.A. (versus graduate education and years of actual practice), I had fun making Sonny charge forth as if she thought she could cure her family’s woes. She certainly had her heart in the right place, but her methods were slightly half baked. First, I hope they’ll find the book entertaining. I want them to enjoy Sonny’s journey and the way her discoveries uncover secrets and feelings for the people around her. I hope they’ll be amused, but only when I mean them to be! On a grander scale, I hope readers will be touched by the whole issue of personal identity and how God factors into that. I never want to write a preachy book—but I certainly enjoy hearing when my books are inspiring. My prayer before every book I write is that God will give me the story someone somewhere needs to read in order to feel more of what He wants them to feel. Then I leave it up to Him. 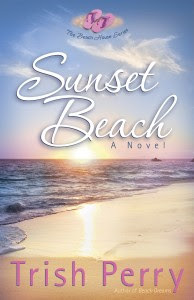 I'd like to thank Tina at Blog Tour Spot for providing me with my copy of Sunset Beach and for setting up this blog tour of Trish's book!